Massachusetts put new energy codes into effect on August 12, 2016 which are mandatory January 1, 2017. In 2017, all building permits and formal documents must comply with the new energy codes. There is no standard energy code nationwide, so states use a various codes depending on their local regulations. With this change, Massachusetts will join other states like Vermont and Washington who are notably efficient under the 2015 codes, while California and Florida continue using 2012 codes. 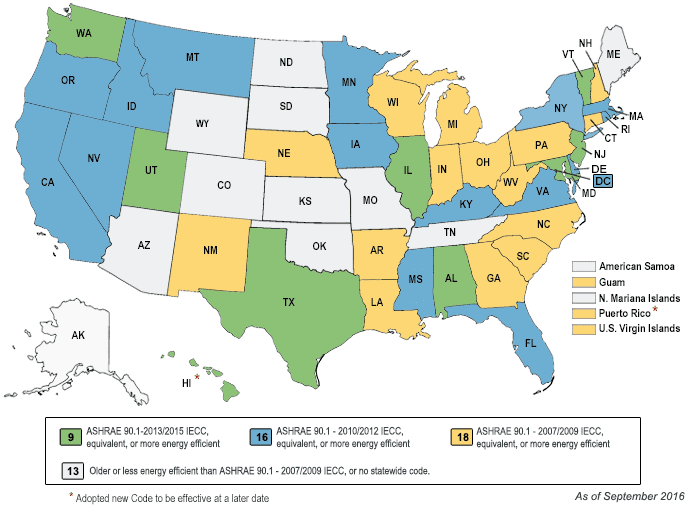 The map above depicts state by state residential energy codes. 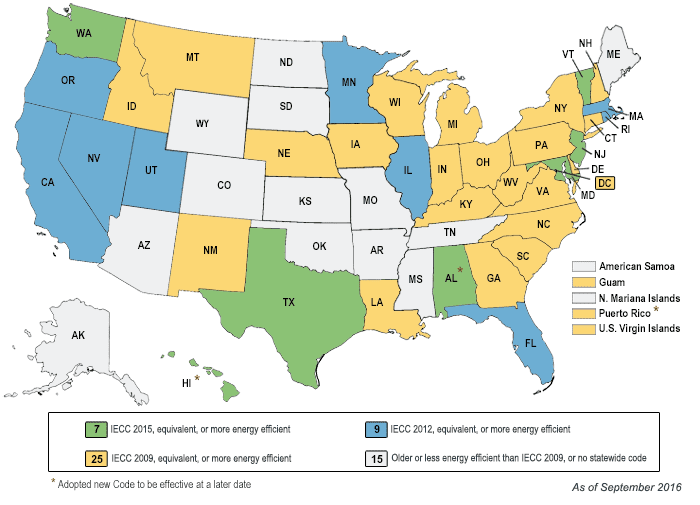 Massachusetts will switch from blue (IECC 2012) to green (IECC 2015) with these changes.